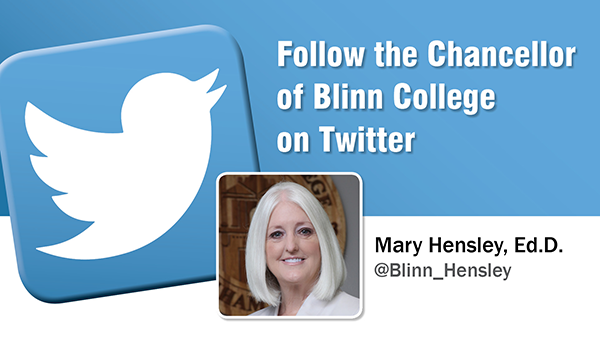 Blinn College named Dr. Mary Hensley the 15th president in College history in May 2015, and Chancellor of the Blinn College District in 2017. As Chancellor of the Blinn College District, Hensley has strengthened Blinn’s partnership with The Texas A&M System and led the College District’s development of new articulation agreements for the programs located at the RELLIS Campus in partnership with The Texas A&M System regional universities also located at RELLIS. Hensley has overseen construction of the new Walter C. Schwartz Building at RELLIS, and under Hensley’s leadership, Blinn also has constructed the Kruse Center, the A.W. Hodde, Jr. Technical Education Center’s Technical Education Annex, and the Doyle Coatney Athletic Training Facility. Hensley also has strengthened Blinn’s technical and career education programs, increasing Blinn’s acquisition of Texas Workforce Commission Skills Development Fund grants to $1.8 million in 2017-18. In June 2018, Hensley accepted the Texas Economic Development Council’s Workforce Excellence Award in recognition of Blinn’s skilled trades training programs. 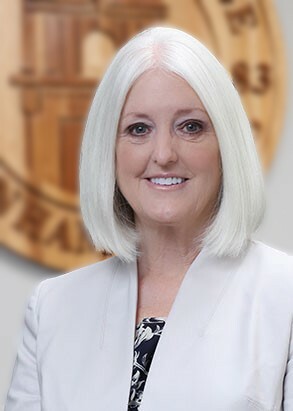 Prior to her arrival, Hensley served the Austin Community College District for 14 years, including six and a half as Executive Vice President for College Operations. In that role, her responsibilities included oversight of 11 campuses, six off-campus centers and the district police department. With experience in both K-12 and higher education, Hensley has served as a teacher, counselor, middle school principal, high school principal, director of secondary education, assistant superintendent and deputy superintendent in the Ysleta, Socorro and Round Rock school districts. At Austin Community College and McLennan College, she served as Coordinator for Resource and Grant Development; Associate Vice President, Instructional Support Services; Vice President, College Support Systems and ISD Relations; and Executive Vice President, College Operations. Hensley holds a Bachelor of Science from the University of Texas at Austin, a Master of Arts from the University of Texas at El Paso and a Doctor of Education from Baylor University. She also holds elementary, professional counseling, supervisor, mid-management and superintendent certificates. Hensley represents the Central Texas Region as a member of the Texas Association of Community Colleges Executive Committee. She is a graduate of the Washington County Leadership Program, a member of the Literacy Texas coalition, and serves on the Board of Directors for Brazos Valley Food Bank and Workforce Solutions Brazos Valley.